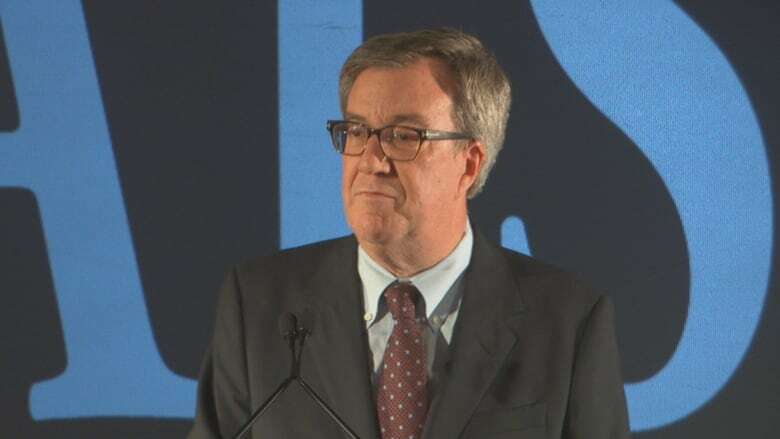 In a reversal his critics are calling "a victory for free speech," Ottawa Mayor Jim Watson is unblocking his detractors on Twitter after being sued by three local activists last month — and is encouraging all members of the new city council to do the same. Watson's statement, released on Twitter Friday afternoon, reflects a dramatic change of heart from the mayor's initial reaction to the lawsuit that was filed a little more than two weeks ago. At the time, the mayor argued his Twitter account was "personal," and said he had "the right not to be attacked and harassed by the same individuals on a regular basis." The mayor now concedes his Twitter account is public because he uses it "in the exercise of his day-to-day duties as Mayor of the City of Ottawa." Lawyer Paul Champ sought a court order last month declaring the mayor had infringed on his clients' constitutional right to freedom of expression, which is protected by the Canadian Charter of Rights and Freedoms. Emilie Taman, a lawyer, professor and political activist who has run for office for the NDP and publicly challenged the city's preferred location for the new central library. James Hutt, an organizer with the Canadian Union of Postal Workers and a central figure in the pop-up overdose prevention tent that operated illegally in Ottawa last year. Dylan Penner, the media officer for the Council of Canadians. They argued the mayor regularly used @JimWatsonOttawa to communicate city news, including tweeting his daily agenda each morning. During the tornadoes earlier this fall, he tweeted information about power outages and other emergency information. By blocking some residents, the lawsuit alleged, the mayor denied them information and the "ability to engage in debate concerning municipal issues using Twitter," which the applicants argue is now a vital method of communication for public officials. According to his statement, Watson, "upon further reflection … agrees with this view and has decided to directly address the specific concerns raised by unblocking these persons from his Twitter account moving forward." Watson also urged his colleagues on council to "maintain a high level of public accessibility through social media and other means." In their own statement, the three applicants said they're pleased to have reached a settlement with Watson, which includes an agreement that Watson will unblock not just the three applicants, but "everyone else he has blocked." "We are satisfied that Mayor Watson has admitted he was in the wrong and are encouraged that he seems committed to a more respectful and open dialogue with his constituents than in the past," the applicants wrote. They also said they believe this case will send "a strong message to elected officials from coast to coast to coast."